Documentary Review – Wine Masters: Terroir, Taste & Tradition - Gonzo Okanagan Online News, Music, Technology, Sports, Film, Arts & Entertainment, Culture, Wine & Dine... Life! 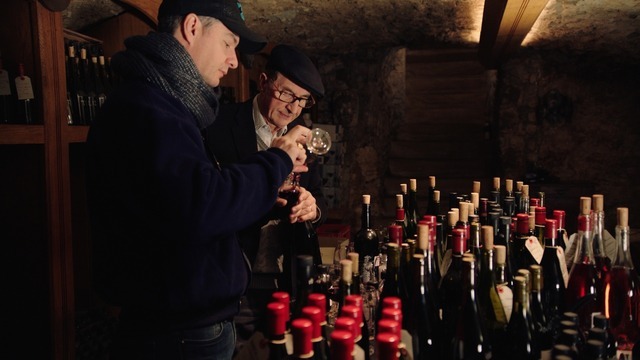 I felt teleported to France in watching Season One of Wine Masters: Terroir, Taste & Tradition with my senses fully engaged as we traveled through vineyards and wine cellars. I found myself salivating as grapes were plucked from vines to be sampled and glasses of wine sniffed, swirled and tasted. Granted a preview of this documentary series by Dutch feature film producer and wine connoisseur Klaas de Jong of Farmhouse TV & Film (http://farmhousefilm.nl/), I had no idea at the outset its relevance to the evolution of our Okanagan wine region. As the province of British Columbia officially designates growing regions (appellations) and sub-growing regions (sub geographic indicators) and grapples with scientific differentiation between the areas, an intimate introduction to five French wine regions and a specific family within each was a wonderful reminder of why these things matter. Stunningly filmed and accompanied by music of the Noordpool Orchestra, the documentary is a sensory masterpiece. Each episode includes informative commentary by Masters of Wine Tim Atkin of London, England, and Jeannie Cho Lee, Hong Kong, China. Also common to each episode is the introduction of multiple members of the family working within the family wine business; commentary on wine rankings and their impact on consumers; and suggested food and wine pairings with luscious long table dinners illustrating them. The documentary was highly successful in personalizing each family. After each session, I gained an understanding of the family’s early exposure to the wine industry, their personal connection to it and their commitment to carry the family tradition forward to the next generations. Cinematography included glimpses of the families’ homes, winemaking facilities, barrel rooms and vineyards. With drone videos, I came away with a real sense of place for each location. A total of seven seasons are planned, each with five episodes, roughly 45 minutes per setting, with a focus on a specific wine country or theme. Next up is Italy and I can’t wait to hear the stories of those families. This time I’ll be equipped with a glass of wine in hand and perhaps a plate of pasta. Featured photo: Tasting with Marcel and Philippe Guigal.